So much has changed in my life since I became the father of two girls. Though it is definitely not the most radical, or life-changing transformation, one of the most notably obvious is my lack of control when it comes to entertainment. My television is no longer my own. Instead of Mad Men, I am forced to watch Wild Kratts. Instead of The Sopranos, I must listen to Curious George. Instead of Powerpuff Girls….well, okay, we both enjoy the Powerpuff Girls. Like TV programs, the film choices for our family movie nights are always made by the two girls. Luckily, as the girls age, movie night is becoming more tolerable. Now we get to watch The Muppets, or Hugo, or the first three Harry Potter films. I enjoy these flix, but even well-made children’s films are still children’s films. During the last six years, the world of film has passed me by, but I think I am finally ready, willing and able to do something about it. So, this summer, I have begun to watch some of the critically and commercially acclaimed films of the last couple years. But, to my surprise, I have found big blockbusters such as The Avengers, or Skyfall, or Avatar generally disappointing. Before children, I was able to lose myself in such films. It is not as easy now. I think the problem is that I get an overabundance of simplistic scripts, prat falls, and predictable plot twists from most of the movies my daughters watch. Many Hollywood movies are similar to these children’s films, with the exception of the “ intense violent sequences throughout, some sexuality, language and smoking” that marks serious cinema. I’m looking for a little something more. 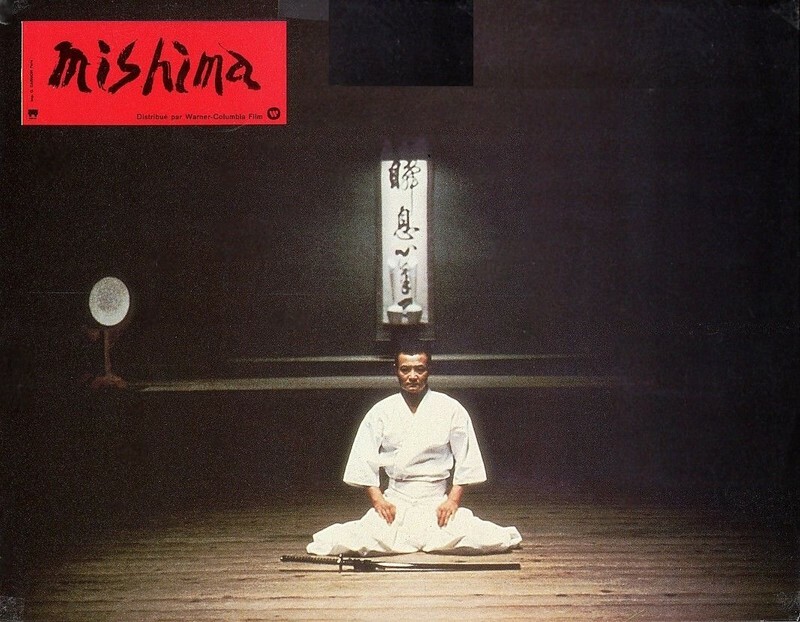 Mishima: A Life in Four Chapters (1985) – an artistic, highly stylized biopic of the great Japanese writer who committed seppuku at the age of 45. Incredible film. Once Upon a Time in America (1984) – Sergio Leone’s epic tale of Jewish-American gangsters living, fighting, and dying in 20th century New York. Honestly, I felt this film has not held up over the years. It seemed dated. Seven Samarai (1954) – One of the most influential films by the great Japanese director Akira Kurosawa. I found the plot strangely familiar, and then I realized it was because there have been roughly 200 movies since Kurasawa’s film that have copied it. 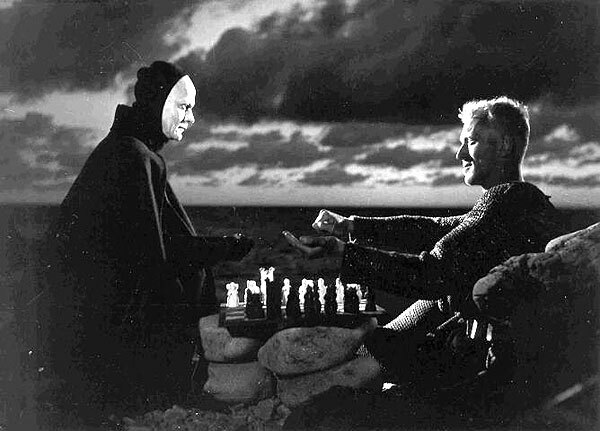 The Seventh Seal (1957) – Probably Ingmar Bergman’s most famous film, largely because of the scenes of a Medieval knight playing chess against a personified death. I was very pleasantly surprised at how enjoyable this classic was. The film is interesting, funny, intelligent and full of life. 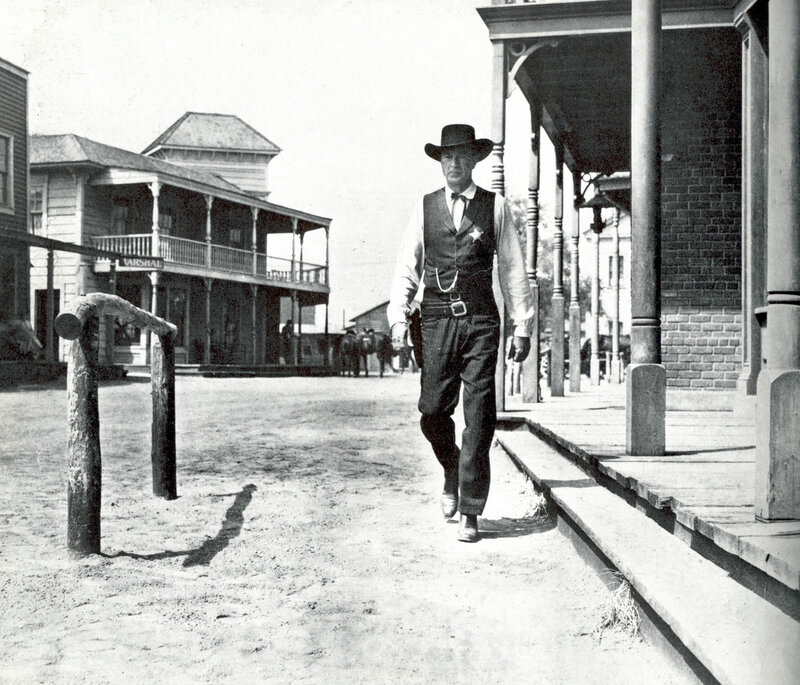 Gary Cooper in ‘High Noon’life. A must see! High Noon (1952) – This American Western is not your average shoot-em up cowboy flick. The movie deals with a sheriff’s inevitable upcoming gun battle with a psychotic criminal, and the sheriff’s attempt to answer why he is not running away from likely death. I really wished the film ended before the gunfight began, since I felt the cerebral nature of the first 9/10th of the film was much better than the ‘climatic’ show-down. This is what I have seen so far, but I have a couple films in my queue for the next week. Bergman’s Wild Strawberries, Jean Cocteau’s Orpheus, and Federico Fellini’s La Dolce Vita are on the docket. But, what then? What are some other films that everyone should see at least once? Let me know what you think. The White Ribbon and In Darkness??? I have them taped and ready to watch.